Mary Lou Waltman, 87, passed away peacefully Monday, April 1, 2019 at her home on Main Street, Chicora following an extended illness. She will be greatly missed by her family and friends. Mary Lou was born June 17, 1931, to the late Frank B. Fuhrer and Crescent Eddy Fuhrer in East Brady, Pennsylvania where she had many fond childhood memories. She adored her Mother with whom she shared a special lifelong bond. She recently recalled how she loved to beat her Father in checkers not realizing at the time he was letting her win. She was a 1949 graduate of East Brady High School and 1953 graduate of Indiana State Teachers College, now known as Indiana University of Pennsylvania. Mary Lou taught music for 30 years in the Karns City Area School District retiring in 1991. She was a woman ahead of her time going to work when it was common for mothers to stay home. Preceding her in death was her husband, Clyde J. Waltman, whom she married on July 12, 1961 in East Brady and with whom she shared a special Saturday night date all their married life. She was a member of the Mater Dolorosa Catholic Church where she was previously involved with the music ministry and the Legion of Mary. Mary Lou was very spiritual with daily devotions including Mass, her beloved rosary, and many inspirational readings. Mary Lou cherished her family and friends. She was a great conversationalist who enjoyed laughing and gaining insight from others. She was an avid clothing shopper and spent many hours enjoying it. She was known for her thoughtful notes having such a large inventory of cards that she could have opened her own card store. Every Sunday while her children were still at home, she prepared a delicious family dinner. Surviving are her twins – son, Michael J. Waltman and his friend, Sue, of Butler and daughter, Mary Anne W. Morelli and her husband, Michael, of Thousand Oaks, California; her son, Robert B. Waltman and his wife, Tracy, of Butler; grandchildren, Kassidee L. Waltman and Alexis P. Waltman; brother Frank B. Fuhrer Jr. and his wife, Heidi, of Fox Chapel; and brother-in-law, Donald E. Black of Butler. Also, surviving are a number of nephews and nieces. In addition to her husband and parents, Mary Lou was preceded in death by her brother, Richard E. Fuhrer and his wife, Gladys, and sisters-in-law, Mildred M. Graham and her husband, John R., Ethel M. Boal and her husband, Charles P., and Evelyn L. Black. Many thanks to the caring doctors, nurses, family and friends who supported her. She specifically wanted to recognize Doctors Choksi and Shetter, and visiting nurses Penelope and Claire. 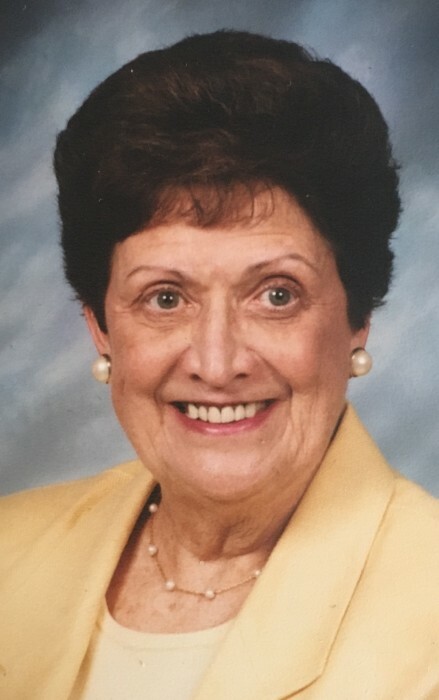 WALTMAN - Friends of Mary Lou Waltman, who died Monday, April 1, 2019, will be received at The Hile Funeral Home of Chicora, 339 Chicora Fenelton Rd., Chicora, from 4:00 p.m. – 7:30 p.m. Thursday. A Mass of Christian Burial will be celebrated at 11:00 a.m. Friday at Mater Dolorosa Roman Catholic Church, 409 N. Main St., Chicora, with the Rev. Lou Pascazi, Senior Parochial Vicar at Mater Dolorosa, officiating. Interment will follow in St. Joseph Cemetery in the Village of North Oakland. Memorial contributions may be made to Mater Dolorosa Roman Catholic Church, VNA of Western Pennsylvania, 154 Hindman Rd., Butler, PA 16001, or the American Cancer Society at www.cancer.org. For additional information or to send a condolence, please visit www.hilefh.com.